Today we began to understand why London was a key feature of the 2018 Global Development Tour. Our first meeting was with the UN Global Compact team in the United Kingdom where the delegates were able to meet with a key player in advocating for sustainable companies. 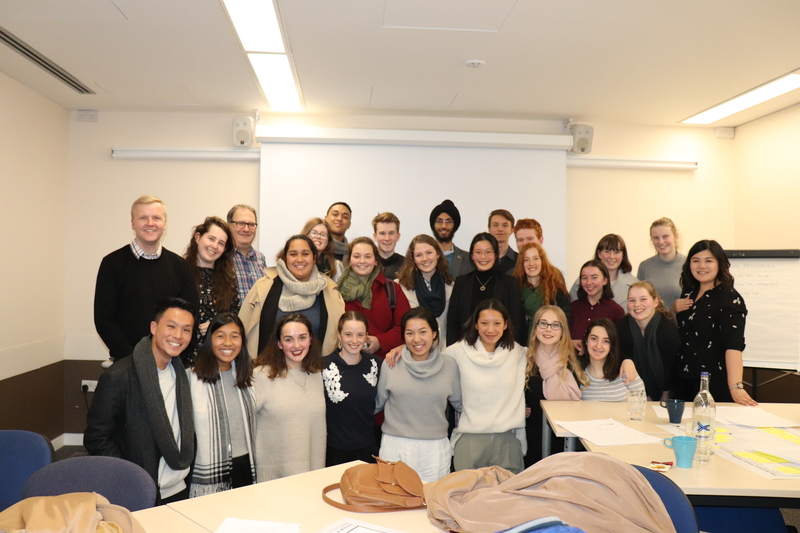 “We played a simulation ‘game’ which UN Global Compact plays with its corporate members who are also learning how to include sustainable policies and practices. The delegation were able to learn more about the reason and rationale why modern slavery still exists. It is a lot harder to be sustainable in operating businesses than we first thought. 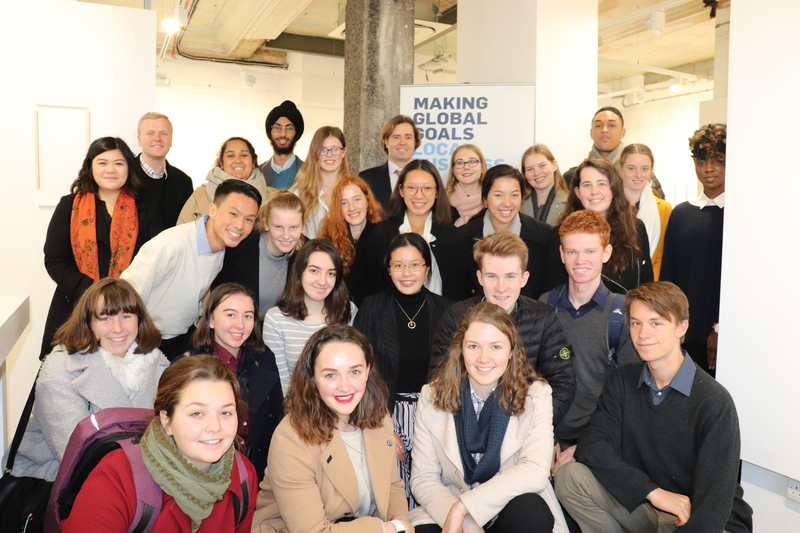 This nuanced view of the challenges of UN Global Compact’s mission really inspired the delegates to think about the ways in which businesses can possess ethical and environmental leadership in meeting the SDGs within the timeframe. As we left, we were all gifted with SDG badges to remember the role of all sectors in helping to meet the target indicators. After this meeting we headed over to Imperial College to learn more about the Grantham Institute. The Grantham Institute is a Centre which is designed for research into climate change and to get innovative ideas implemented into ventures around environmentally-friendly alternatives. With Prof. Richard Templar at the Grantham Institute, Imperial College London. The delegates were presented with an interactive session which they thoroughly enjoyed. – Sarah, Jordana, Kun-Ka, Te Ruki and Kun-Ka. We even got to finish the evening with a cultural experience of Harrods. Tomorrow is another day of interesting meetings and only one day left to explore more of London.